Polly Staple, director of Chisenhale Gallery, London, has selected Maeve Brennan’s The Drift (2017) for CAST Film Club and will visit CAST to introduce the work and conduct a Q&A with the artist. The Drift traces the shifting economies of objects in contemporary Lebanon. The film moves between three main characters: the gatekeeper of the Roman temples of Niha in the Beqaa Valley; a young mechanic from Britel, a village known for trading automobile parts; and an archaeological conservator working at the American University of Beirut. Combining documentary footage, gathered through fieldwork, with staged scenes, the work depicts layered histories and communities. Forms of maintenance and repair are central to The Drift – focusing on the desire to reassemble and rebuild. 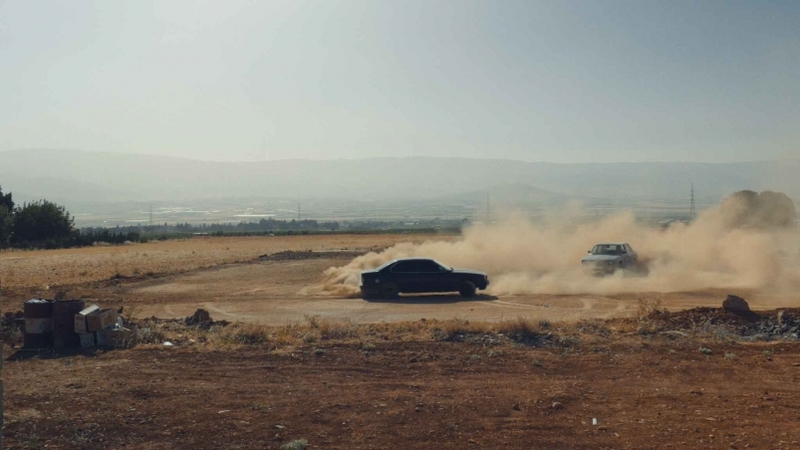 Through observing the intertwined identities, unregulated economies and shared resistance felt across the densely layered archaeological and urban sites of Lebanon, The Drift explores the politics of conflict through its material – and immaterial – residue. The Drift was produced by Chisenhale Gallery, London and Spike Island, Bristol and commissioned by Chisenhale Gallery; Spike Island; The Whitworth, The University of Manchester; and Lismore Castle Arts, Lismore. The Drift was presented as a solo exhibition at the partner venues across 2017-18. Running time 51 minutes. Maeve Brennan is an artist based in London. Recent solo exhibitions include The Goods, Kunsthaus Bregenz, Austria; Listening in the Dark at Mother’s Tankstation, Dublin (both 2018); The Drift at Chisenhale Gallery, London; Spike Island Bristol and The Whitworth, University of Manchester (all 2017) and Jerusalem Pink, OUTPOST, Norwich (2016). Brennan was educated at Goldsmiths, University of London and was a fellow of the Home Workspace Programme at Ashkal Alwan in Beirut (2013-14). She has screened her films internationally and was shortlisted for the Tiger Shorts Award 2018 at International Film Festival Rotterdam. She received the Jerwood/FVU Award 2018. Polly Staple is director of Chisenhale Gallery, London. She has curated numerous group shows and commissioned solo projects and exhibitions by artists such as Lawrence Abu Hamdan, Ed Atkins, Hannah Black, Camille Henrot, Linder, Helen Marten, Hito Steyerl, Cathy Wilkes and Lynette Yiadom-Boakye, In 2014 Staple was awarded the biannual Genesis Prize, ‘recognising her work as an outstanding mentor of artistic talent’. Chisenhale Gallery has a 36-year history as one of London’s most innovative forums for contemporary art operating alternately as a production agency, exhibition hall, research centre and community resource. Chisenhale Gallery is a registered charity and part of Arts Council England’s National Portfolio. Building on the legacy of Groundwork, CAST Film Club is an ongoing programme of moving image work by British and international artists. The public programme at CAST is currently supported from funds awarded by Arts Council England for the Groundwork programme.